here's a nifty little item that makes my techie heart sing. 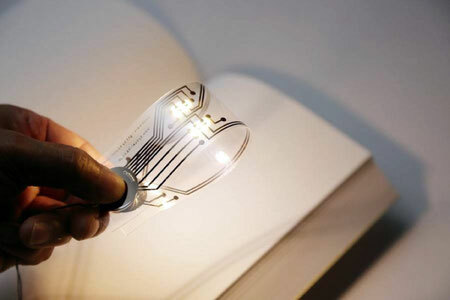 When flat, the Bookmark Light functions as a high tech bookmark. But bend and bring the ends together and, viola, it lights up! be a major utilization design flaw in an otherwise great product. so you, too, can read a blank book. Available through CKIE: Bookmark Light.